If your once-beloved Prada bag has been tucked away in a dust bag and forgotten within the depths of your wardrobe, it might be time to give it a little polish and shine, because the Italian bag company’s latest collection of bag straps promises to breathe new life into it. Simply called the Prada Shoulder Straps collection, you’ll be hard pressed to find one you won’t fall in love with. In a selection of buttery soft calfskin, durable saffiano or chic Nastro leather, the straps are designed to look best with the iconic Galleria, Giardiniera and Double bags. Its bold 3D floral embellishments, all craft with crystals, plexiglass and resin or leather are definite statement-makers, adding a gamine touch to the classic totes Prada has come to be known for. IMAGE: PRADA After bag charms and those long strips of printed silk (every brand calls theirs differently, so I’m just being PC and referring to them as ‘long strips of printed silk’), here’s a third bag-accessorising trend that’s definitely here to stay. Yes, no marks awarded for guessing what it is, especially after that other Italian luxury house launched them to great success last year. Yes, it’s the shoulder strap, which like bag charms and those long strips of printed silk (I’m sorry), are now offered for sale individually as well. IMAGES: PRADA Simply known as the Shoulder Straps collection, you’ll find these from Prada in stores from mid-July 2016, and besides being available in various thicknesses in different types of leather (there’s Saffiano leather, classic calfskin and something I’m not familiar with called Nastro leather), come embellished with a variety of 3D flowers as well. Made up of everything from crystals and plexiglass to resin and leather, you’ll just need to decide which strap will go best with your Prada bag, be it theDouble or the Galleria, just to name a couple. Or just pick up a new Prada bag and then a strap since both are sold separately, which also means you just need to head to your nearest boutique for a full look at what’s available locally now. Still not convinced that this trend is here to stay? Well, besides the aforementioned Italian brand and Prada, there’s another Italian brand offering leather straps that are to be sold separately as well (hint: one of their designers just left for a French luxury label), as well as a French luxury house who you could consider a sister label of the French label I just mentioned that the designer is leaving for. In other words, look out for more updates soon. 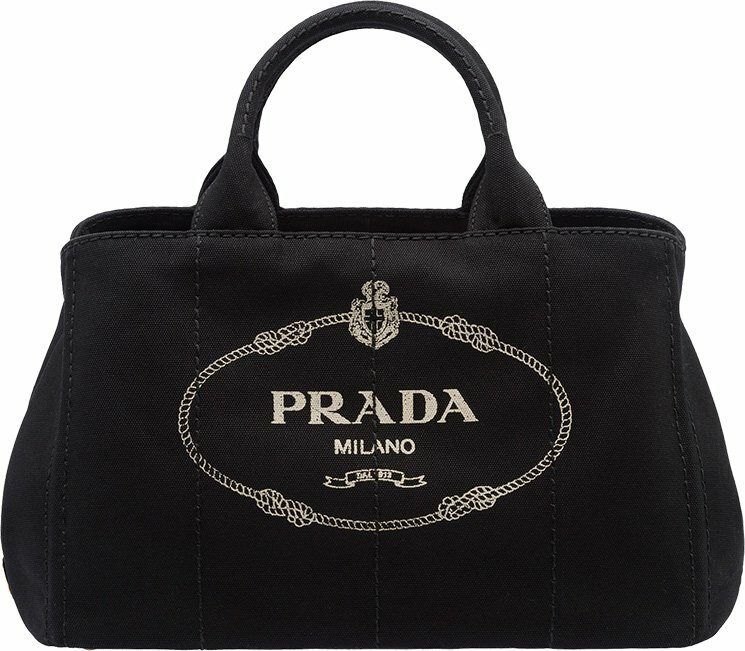 When it comes to the most iconic bag brands, Prada is easily one of the most recognizable and most widely loved. 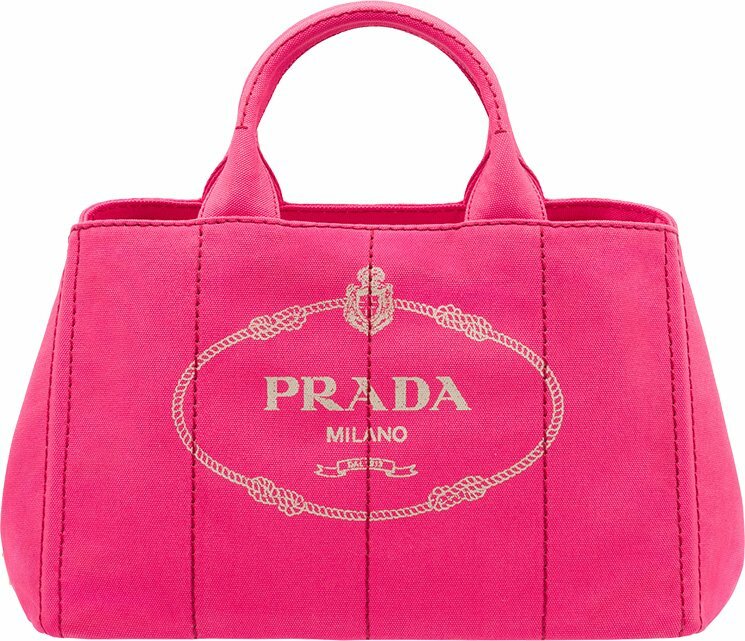 Prada launched me into my love of designer bags; I lusted after a one of the brand’s iconic Tessuto nylon messenger bags during much of high school, and I received it was a gift when I began college. 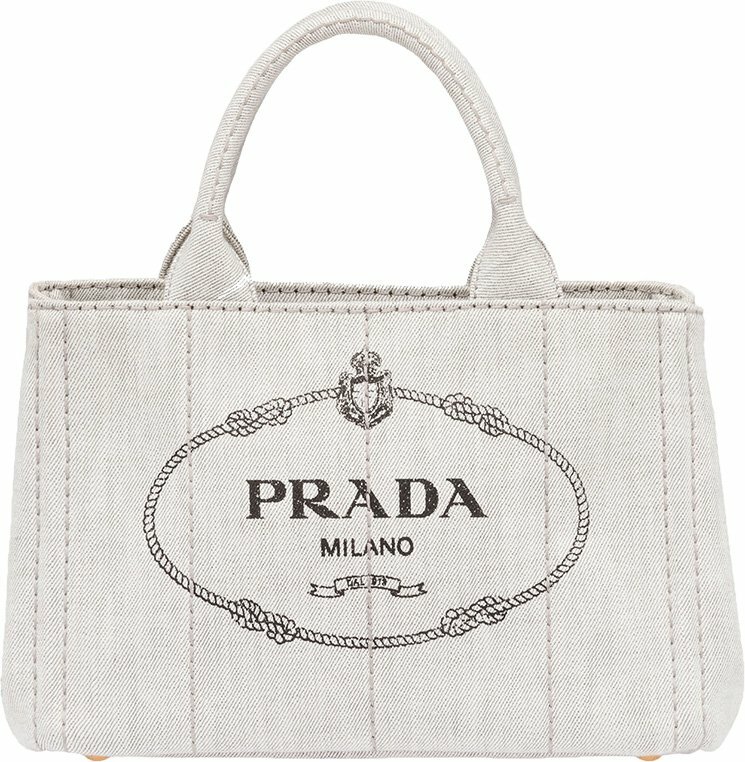 I remember feeling so enamored of my Prada bag, and even at that young age, I could tell how much higher quality it was from other brands in my collection at the time. 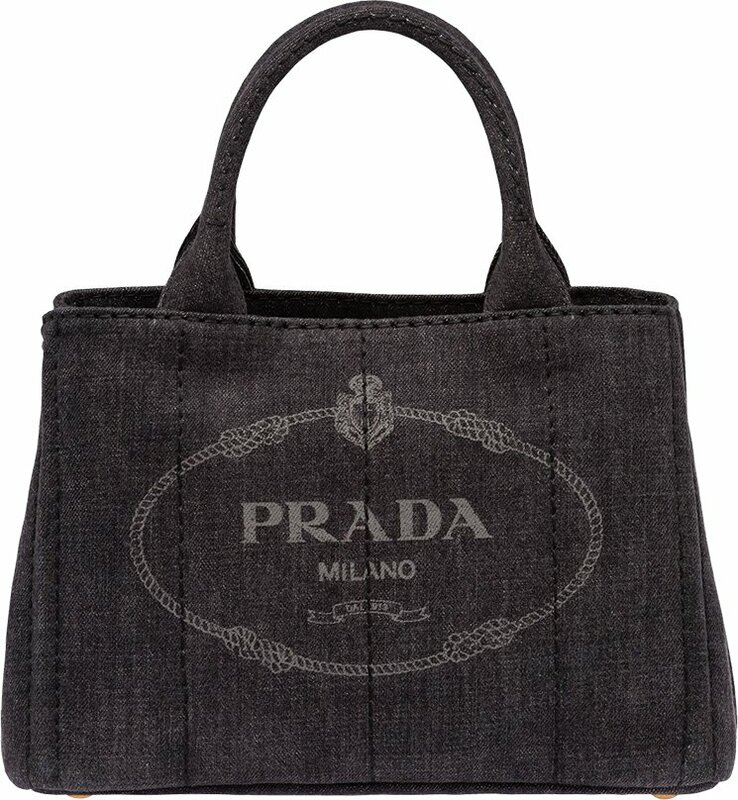 Prada is distinguished by meticulous attention to craftsmanship and detail, and that’s still very much the case today. 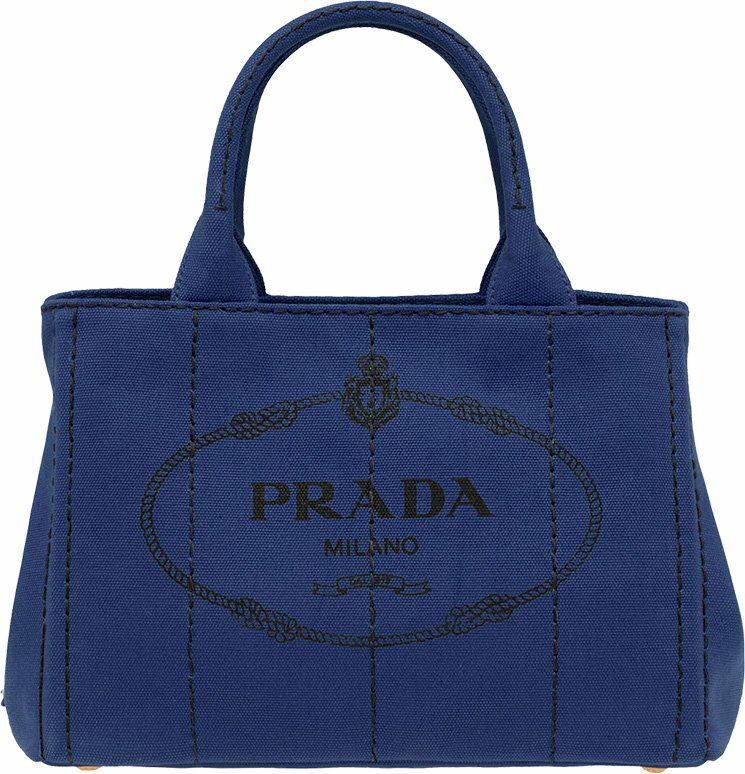 Though Prada has evolved over time by embracing new techniques and ideas, the brand stays committed to the enduring quality of its pieces. 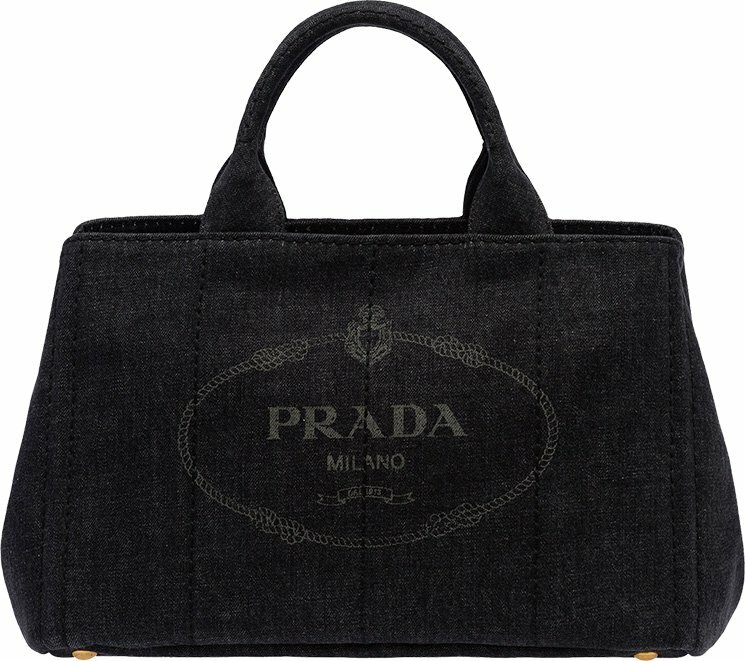 Like many long-standing brands, the methods Prada employs have been passed down by craftsmen over the course of years, and they’re so vital and specific to the brand that they could easily be called trade secrets. Just like those crucial rules of craftsmanship, some of the brand’s designs are equally long-standing; two of the most highly sought-after Prada pieces remain the Prada Galleriaand Prada Double Bags. The Galleria and Double are classic Prada styles, and they’re very well-loved by the brand’s fans and shoppers. I certainly count myself among that group; if I had it my way, I’d own a rainbow of these bags in every size offered. Below, we have an intimate look at two of the most iconic bags of Prada’s lineup. In addition to that, I have the pleasure of being among the first to tell you all about the new Prada shoulder straps! Founded in 1913 by Mario Prada (Miuccia Prada’s grandfather) in Milan, Prada opened its first store in the prestigious Galleria Vittorio Emanuele. 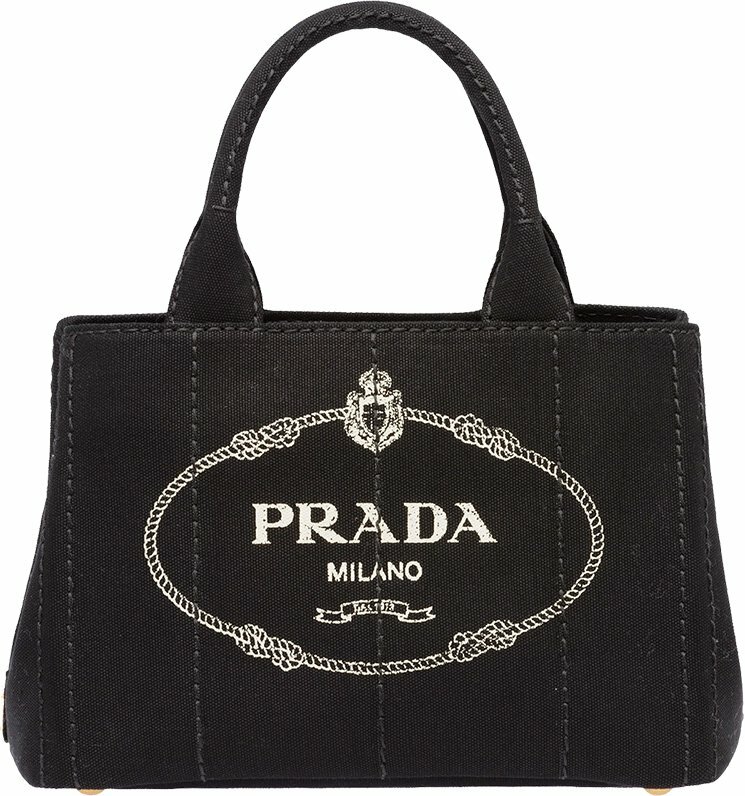 The Prada Galleria Bag was named after the store that started it all, and the bag holds a similarly foundational spot in the brand’s handbag array. 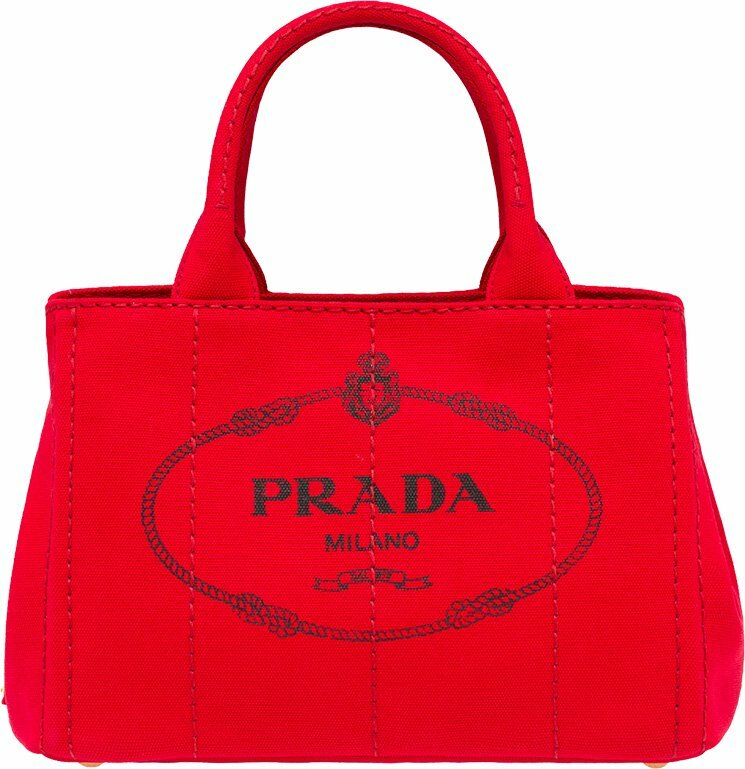 This bag is immediately recognizable as Prada, and although some people confuse it with the Prada Double Bag, it has been around far longer. The Galleria shape is clean and sleek, typically using Saffiano leather, which is hot pressed to achieve the crosshatch texture you see and feel. Because of the longevity of Saffiano leather, Prada has used this water-repellant, scratch-resistant material for decades, and the finish style is often associated with Prada because the brand’s artisans perfected it. While the bags we photographed (as well as many of the Galleria bags on the market) are made of Saffiano leather, there is also City Calf version, which is luscious and slightly softer, which gives this bag a more laid-back vibe. The Galleria bag holds its shape nicely and is ideal daily use, including in the office. 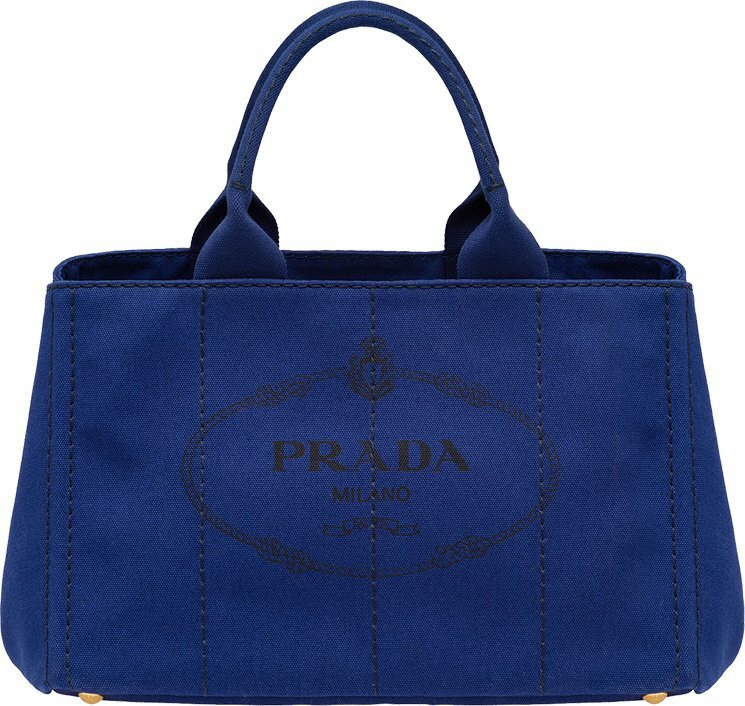 The shape quickly turned into a brand essential for Prada, and many flock to it because of its highly functional interior structure: one large opening, flanked by two zipper-closed pockets at the front and back, all of which run the full length of the bag. 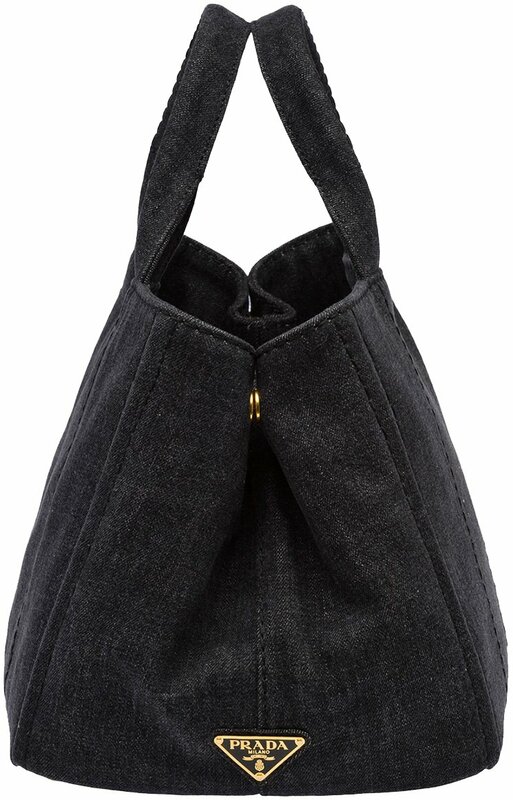 The main interior compartment features three inside pockets, one with a zipper, and the body of the bag can be snapped on either side to pinch the top of the bag together to further secure the interior. 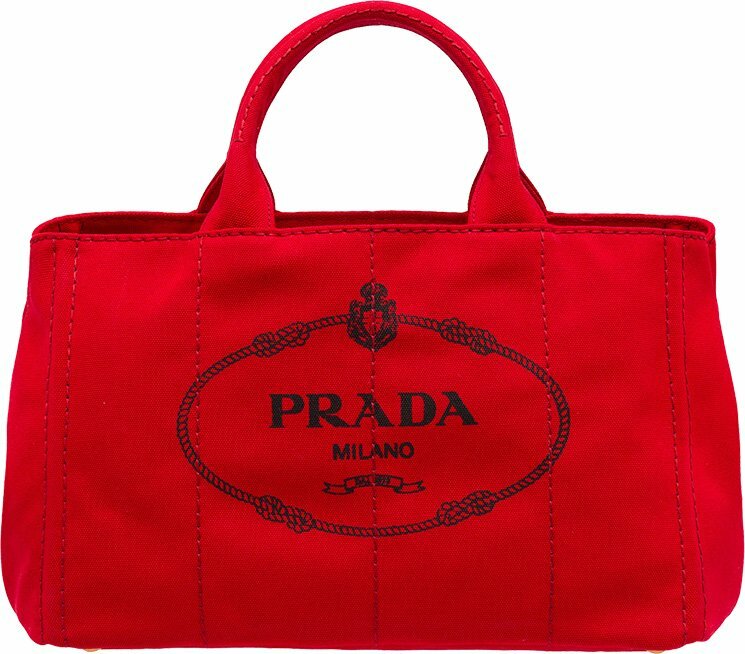 Every season, Prada reintroduces this bag in a variety of colors and styles based on that season’s theme. This allows countless options and reinterpretations, which makes this bag a classic, iconic wardrobe staple. 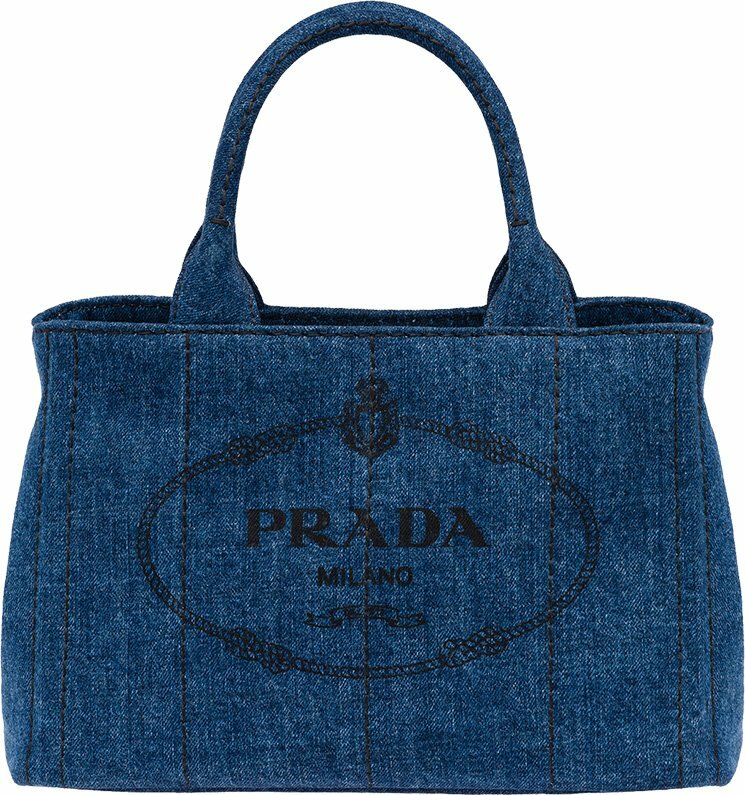 Introduced in 2013, the Prada Double Bag quickly became a favorite. Much like the Galleria Bag, the Double is reinterpreted every season in colors and fabrications based on the style of the season. While the Galleria Bag offers a bit more structure, especially because of the full body pockets on the front and back of the bag, the Double is more minimal and lightweight. The Saffiano leather on the exterior is paired with smooth Nappa leather inside, and Prada has made the potential color combinations one of the most fun aspects of the design. While many Double Bags do offer tone-on-tone leathers on the exterior and interior, there are plenty of contrasting combinations that blend the inside and out in an unexpected way. 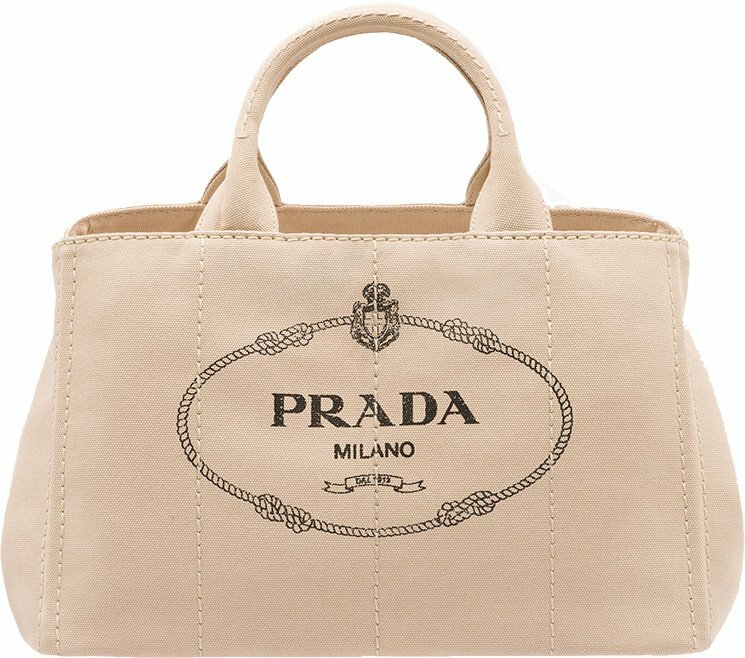 It’s one of my favorite aspects of this bag, and I love seeing what Prada comes up with to make each design stand out a bit more than the last. The Double Bag offers an internal divider with a flap pocket, which allows for easier organization and helps separate the bag into two main interior compartments. I love this design; the divider peeks out when you’re carrying the bag, and if you have a contrasting interior color, you can see it pop. While the Galleria and Double Bags have their similarities that make them both unmistakably Prada, there are differences that could easily make one or the other better for your life. If you’re trying to decide between the two, I’m happy to help point you in the right direction in the comments below! I’m really excited we get to be among the first to break the news of the new Prada Shoulder Straps. Though both of the above bags offer optional shoulder straps in matching Saffiano leather, the brand now offers a way to customize your bag and show your personality with a shoulder strap that speaks to you and stands apart from the rest of the bag. I’ve seen many add-on shoulder straps over the past few years and I can tell you that these Prada straps are some of the most beautiful in appearance and quality I’ve seen. I loved dressing up each bag differently with a strap, and each one transformed the bag. While a strap with oversized leather floral appliqués feels playful, the strap with Swarovski crystal embellishments makes an eye-catching statement. The new collection of shoulder straps allows you to instantly add a personal touch to your bag. The straps are sold separately and come in Calfskin, Saffiano, and Nastro leather with all featuring floral patterns with a 3D effect designed from crystals, plexiglass, resin or leather. The straps are now exclusively available at the Prada Broadway and Prada 5th Avenue boutiques in New York and will be available online by the end of the month. Flash back to the early aughts when the allure of the It bag was at its strongest. Mary-Kate Olsen was rarely pictured without her Balenciaga City bag, while Chloé’s Paddington was slung over the arms of some of fashion’s early street stylers. These days, there’s no single, standout bag making headlines; it’s more about finding a bag that represents your personal style and making it your own. Designers have taken note, offering up pins, key fobs, and patches to accessorize and embellish their haute totes. The latest development might just be the most fun yet—and easiest to switch up: full ranges of interchangeable straps for fashion’s most luxe bags. Brands from Prada to Louis Vuitton have debuted collections of shoulder straps that give new life to their top-handle and crossbreed bags. Some are eye-catching (see Fendi’s multicolor studded strap), others are more subdued (all things considered, eyelets are low-key for Alexander Wang), but all have a certain eclectic spirit that’s right on trend with fashion’s current mood. We say, wear one over your shoulder and let the other dangle. In this instance, more really is more. 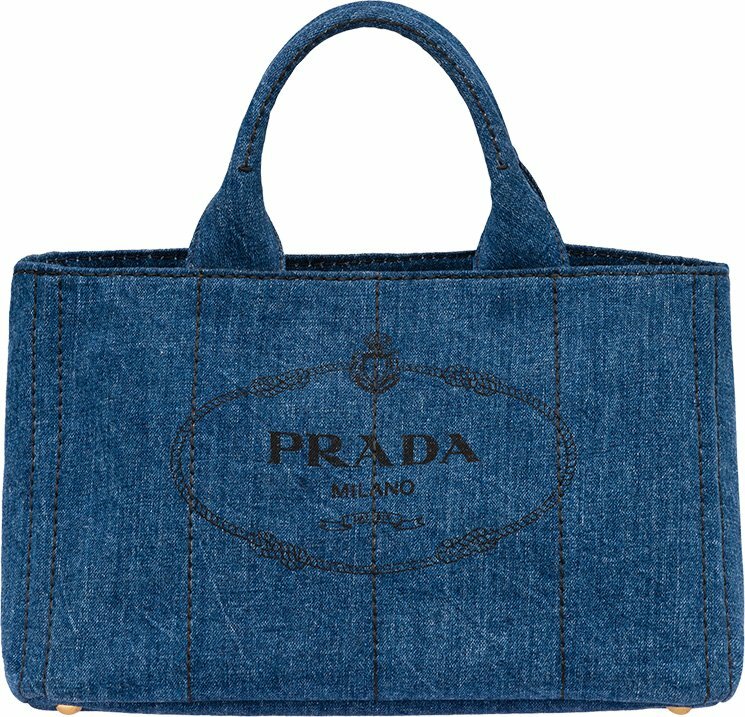 Prada just released new adorable bags including totes. You see, dark colors like black should be your next hunt, because they match to the fall and winter seasons. 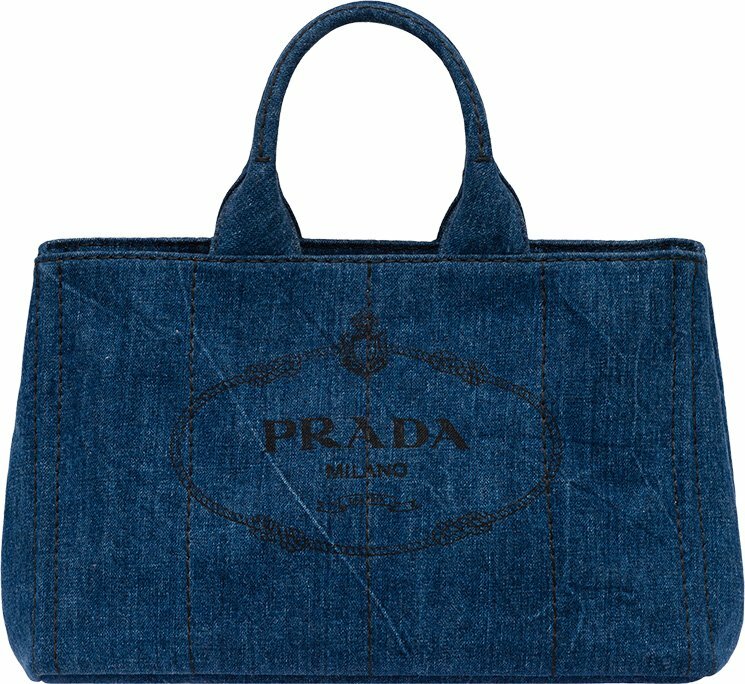 These new Prada’s are made from fabric, a very strong and reliable material. For the design, tiny sequins have been implemented to create stars, trees and flowers. What’s more? The collection consists of clutches, drawstring bag, large totes and small totes. The totes come with long straps to carry around your shoulder. The prices range from $1550 USD, €1400 euro, £1120 GBP for a small tote to $1880 USD, €1700 euro, £1370 GBP for a large tote, available via Prada e-store or boutiques. Well, enough talking. Check out the details below. Yes, the post title is a mouthful, but this post covers exactly what the title suggests, that of the new Cruise 2017 Womens Prada Ad Campaign that has two stars in my opinion, the first being acclaimed actress Jessica Chastain who fronts the campaign alongside the other ‘star’, Prada’s icon-in-the-making, the Bibliothèque. No stranger to this blog (the Bibliothèque, not Ms Chastain), the bag has been covered here before, but since it is in this new ad campaign, I thought a quick refresher would be apt. Shot by celebrated fashion photographer Willy Vanderperre in Milan, you see Chastain carrying various sizes of the bags, which I still believe is the perfect corporate work tote. Available in 3 different sizes, the Bibliothèque sports gusseted edges on the side of the bag reminiscent of a book, which brings to mind its French name. Translated, it means bookcase or library, and is totally apt. 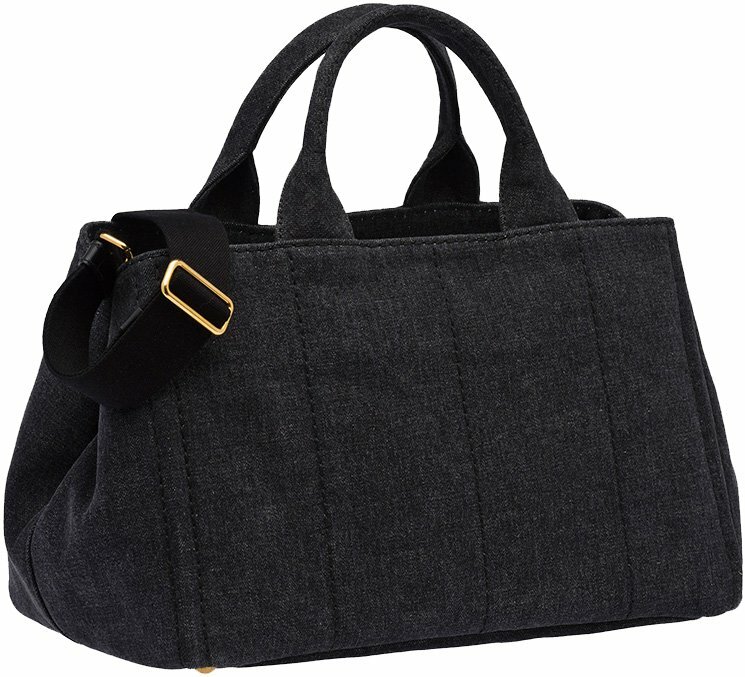 Besides the gusseted sides, the landscape-oriented tote comes with a pair of short top handles, along with an additional sling that would allow you to carry it over your shoulder. Composed of both Prada’s iconic Saffiano leather and smooth calfskin, they are priced at SGD3650, SGD4300 andSGD4700 for sizes Small (22 cm by 17.5 cm), Medium (26 cm by 20 cm) and Large (30 cm by 22.5 cm). 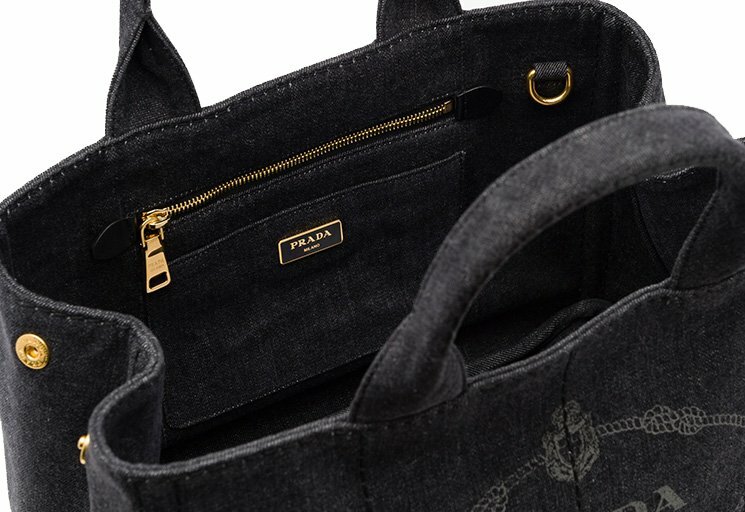 And if it’s a work bag you’re looking for, definitely consider the ones inMedium or Large, while the Small is perfect for those looking for a fun weekend sling bag that can be dressed up with scarves twirled around the handles and as many bag charms (preferbably Prada, of course) that it can possibly hold. Before I sign off, here’s another work bag contender you could consider. Yes, my heart is with the Bibliothèque, but I know you guys like options, so here goes. Available in 2 sizes, the Esplanade (you can tell the difference from the additional leather strap detail that comes down the side of the bag), they are priced at SGD3450 and SGD3650 for the Medium (26 cm by 20 cm) and Large (30 cm by 22.5 cm). If you haven’t already noticed, they also retail for a whole lot less than the Bibliothèque, which I put down to the simpler design. 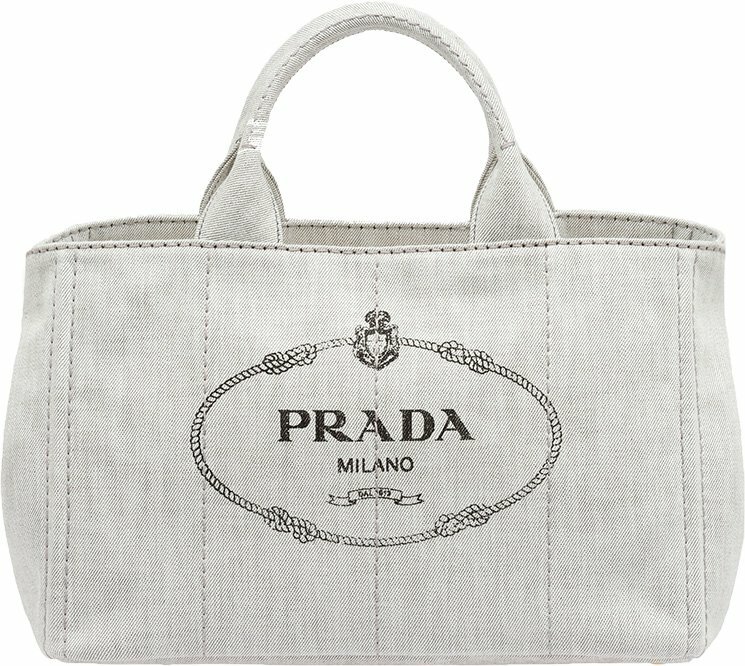 Also sold with an additional shoulder sling, both styles are now available at Prada boutiques at Marina Bay Sands and Paragon in a wide variety of colours, from monochrome hues to brights like Red, and neutrals including the likes of rose pinks, soft tans and light greys. In other words, you just need to decide which one would work with your existing wardrobe best.